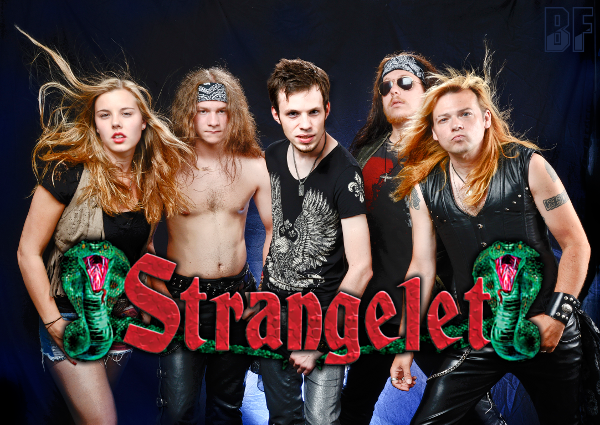 STRANGELET is a new comer Hard & Heavy Rock band founded in Heilbronn, Southern Germany in 2011, and has released ever two EPs and first full-length album entitled "First Bite" (2014). Their music is influenced by rock acts from the glorious 80s, including powerful riffing, melodic vintage keyboards and catchy refrains. 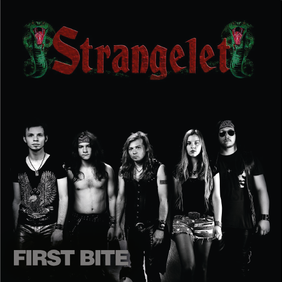 They combine modern elements, techniques and influences into their songs, so a refreshing new sound ranging from hard neck-breaking beats and groovy tunes to epic ballads can be heard on the "First Bite" album. The album features guest musicians such as international highly acclaimed German Power Metal group Lanfear 'guitarhero' Markus Ullrich on guitar solo on track 1, Andreas Ullmer on Harp on track 7, Alex Noe on Bass on track 7, Nicole Gessler on vocals on track 5 and 10 and Chris Aldinger (African Corpse) on vocals on track 8. The album was produced and mixed by the band’s keyboardist Jonas Kümmerle, mastered by Christoph Beyerlein at Stem Masters in München and recorded at SCB Music Studio in Bretzfeld. "First Bite" is available on their website and you can ask the band.